Pursuing a career in science in Africa involves challenges not faced by researchers who remain in the high-income countries in which they studied. Linda Nordling is a science journalist in Cape Town, South Africa. When Yaw Bediako returned to Africa after receiving high-school, undergraduate and PhD education in the United States, the Ghanaian was struck by how different life as a scientist was on the continent of his birth. As a postdoctoral researcher in Kenya working on malaria, Bediako was asked to weigh in on decisions from whom to hire to what equipment to buy. 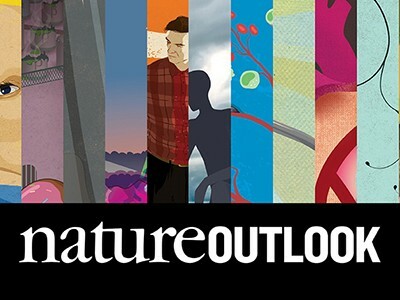 “Postdocs in the United States don’t have to think beyond the lab. It’s your principal investigator’s job to stress about funding and facilities,” he says. Every year, thousands of African graduates leave to pursue higher degrees abroad. Their reasons vary. For some, it is the limited training opportunities at home and the chance to learn from the best in their fields, while others see better career prospects abroad. Many return, hoping to help address the needs on the continent that they are so keenly aware of. But the journey home can be surprisingly difficult. Returnees have to contend with masses of red tape and teaching demands — more than if they had stayed away — and some struggle to find a scholarly space that can accommodate their expertise. Many give up — a loss to the continent, which needs one million new PhDs just to match the world’s researcher-to-population average. But in recent years, dedicated support programmes have sprung up to help African researchers to make the transition and return home. For many who struggle on their return, the crux of their problems lies in not having enough help in their early careers to make informed choices. Connie Nshemereirwe is one such researcher. Growing up in Uganda, she always knew she wanted to make a difference to the people in her country. After earning an undergraduate engineering degree at home, she worked in the construction industry before discovering a passion for teaching at one of the country’s small private universities. Looking for opportunities to study further, she found a fully funded master’s degree programme in educational and training systems design in the Netherlands. It was here that she came across the field of educational measurement, which uses statistical modelling to evaluate the performance of education systems. After a time back in Uganda, Nshemereirwe returned to the Netherlands for a PhD. For her doctorate, she wanted to address a problem back home. From experience, she suspected that the Ugandan high-school system, in which students gain access to university through national examinations, discriminates against students from poor backgrounds. Her PhD thesis, published in 2014, used mathematical models to show that this was true. Returning to Uganda, she hoped that her research could help to reform university admissions systems and make them fairer. But that didn’t happen. The information she provided was not as useful to the Ugandan education ministry as she had expected. In a country like the Netherlands, she says, such data are often used to inform policy. But Uganda’s ministry of education, examinations council and universities do not have strong data-collection systems. They were ill-prepared to process and respond to her findings. Nshemereirwe’s efforts to quantify the problem were not of much use. She also struggled to find a footing in Uganda’s research system. 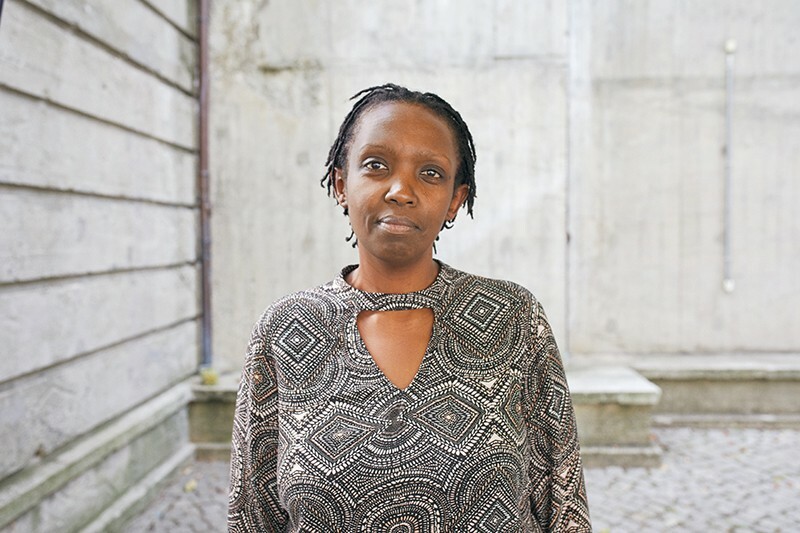 Nshemereirwe had tried to find a Ugandan co-supervisor for her PhD, to advise alongside her Dutch mentor. But she was able to identify only two scholars in her field in Uganda, and both had left academia. On her return, there were no researchers in her field with whom to spar and no community in which she could grow as a scientist. The specialism she had chosen just didn’t fit into any existing scholarly space, she says. The anxiety that comes with failing to find your feet when returning from a prestigious stint abroad can cause confusion and self-doubt. Mashiko Setshedi, a gastroenterologist at Groote Schuur Hospital in Cape Town, South Africa, decided to move into research in her 30s. “I wanted to add something else to my repertoire,” she says. After completing a master’s degree at the University of Cape Town in South Africa, she spent three years as a PhD student at Brown University in Providence, Rhode Island, studying chronic hepatitis and liver cancer. On her return to South Africa in 2012, she was keen to use her new skills to improve clinical care and was able to obtain a research fellowship to cover her salary. But establishing a research programme from scratch proved to be much harder than she expected. “It was mission impossible,” she says. Although her PhD had given her a foundation, she lacked a local track record in research. As things began to go against her, she lost confidence in her own abilities. She was unable to attract students, and she struggled to get the clinical samples she needed for her ill-fated project. In the face of these difficulties, she retreated to the security of clinical work and teaching, frustrated and doubting whether research had ever been for her. “You can get all the training you want overseas, but it doesn’t mean that when you come home the environment is conducive, or that you are actually prepared,” she says. What helped Setshedi in the end was further training, specifically a postdoc in an immunology lab at the University of Oxford, UK. Armed with first-hand experience of the challenges that she would face at home, she sharpened her grant-writing skills and firmed up her research networks. She is now back in Cape Town and on track with her research ambitions. She has gained the confidence of the consultants in her unit, and has local mentors who are keen to help by offering their expertise, lab space and equipment. “I feel more competent in my skills and therefore more confident to do my job well,” she says. It’s not uncommon for African students to follow Setshedi’s path and do several stints abroad. Bediako followed his first postdoc in Kenya with a second at the Francis Crick Institute in London. Just as Setshedi had found necessary, he hoped to broaden his skill set and build up his scientific reputation before returning home to set up his own research group. But unlike her, Bediako found himself with plenty of academic career guidance — not least from his father, who holds doctorates in both French literature and theology. His father had also trained abroad before returning to Ghana, despite offers to continue working at foreign universities. Through his father’s circle of colleagues and friends, Bediako was exposed to a culture of proudly African academics. “Such mentorship continued throughout my academic experience abroad,” he says. Few are so lucky. 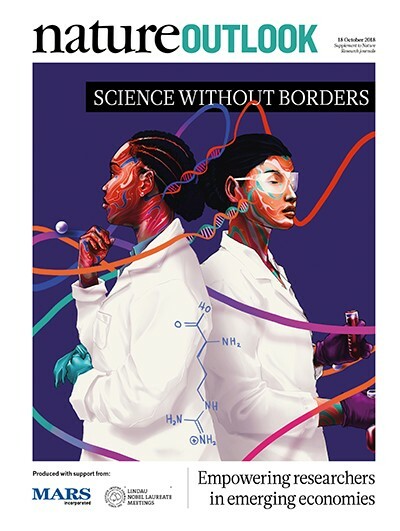 But in recent years, several support programmes have surfaced to attract back young African scientists who have moved abroad, and to help them to forge a career on the continent. 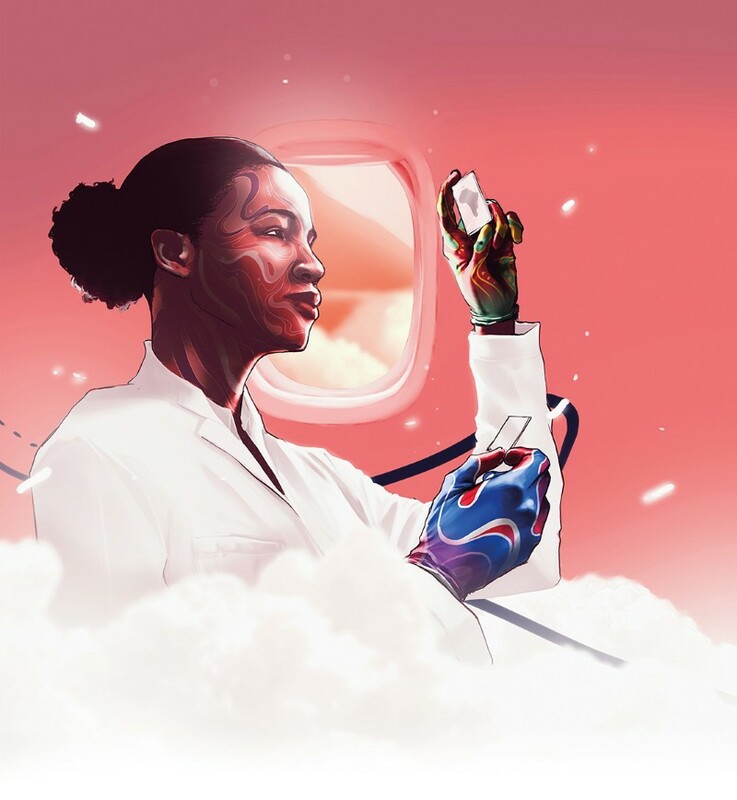 For example, the Francis Crick Institute’s African Career Accelerator Awards, which were launched earlier this year, are designed to help early-career researchers to set up their own research groups. With money from the United Kingdom’s Global Challenges Research Fund, it targets African citizens who want to establish themselves as independent researchers on the continent. Fellows receive up to £130,000 (US$168,300) over two years to cover salary, research expenses and visa costs, with an additional £20,000 available for equipment purchases. It is hoped that the programme will help African scientists to make the tricky leap from postdoc to principal investigator. “It’s difficult enough to get through that period in the United States or northern Europe, but in Africa the odds are stacked against you,” says Robert Wilkinson, the scheme’s originator, who splits his time between the Crick Institute and the University of Cape Town. Bediako will be one of the first recipients. In Kenya, the Initiative to Develop African Research Leaders (IDeAL) offers a wider gamut of training opportunities. It provides support to scientists ranging from high-school graduates to those pursuing postdocs. The initiative is run from the Kenya Medical Research Institute (KEMRI)–Wellcome Trust Research Programme in Kilifi, on the Kenyan coast. As of August this year, the initiative (which started in 2015) has supported 40 PhD students and 13 master’s students, awarded 22 postdoctoral fellowships, and produced more than 400 peer-reviewed publications. 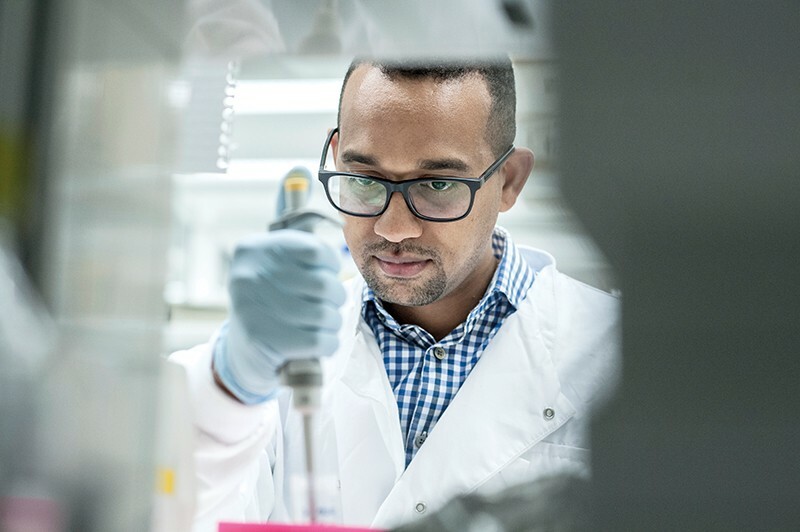 Despite IDeAL’s largely UK-derived funding, Sam Kinyanjui, the immunologist who runs the initiative, describes it as Africa-based and Africa-driven. It is designed to train scientists to deal with the sometimes challenging research environment in Africa. Whereas the programme’s undergraduate and master’s training is done on the continent, PhD training and beyond still usually involves students spending some time abroad, he says, where they hone their skills in resource-rich settings. “That sounds contrary to a lot of people,” he admits. But, although IDeAL now has most of the human capacity and facilities it needs to do the training in-house, he says that there are benefits to exposing students to different environments because research is an international endeavour. The students start and finish their PhDs in Kenya and they have two supervisors throughout — one in the collaborating foreign institution, and one back home. After submitting their PhDs, the students on the IDeAL programme can access a one-year career development grant, designed to help them find postdoc positions. It can also be used to leverage matching funding from a partner institution, creating a two-year jointly supported postdoc. “That way they retain their affiliation with us regardless of where they do their postdoc,” says Kinyanjui. With the link maintained, IDeAL alumni can continue to access help, with grant applications for example, that will help them to stay in or return to Africa. Bediako, who has benefited from IDeAL’s postdoc support, is currently planning his return to Ghana. Early next year, he will join the West African Centre for Cell Biology of Infectious Pathogens at the University of Ghana in Accra, a centre established in 2013 by malaria researcher Gordon Awandare, another Ghanaian who returned home after many years abroad. Once there, Bediako hopes to create his own lab working on malaria immunology, then broadening to other diseases. “Ultimately, I’d like to establish a world-class immunology programme that will serve as a platform for locally driven research,” he says. Bediako thinks that all African universities should take a leaf out of IDeAL’s book and do more to stay involved with their graduates who leave to train abroad. “Too often we don’t have enough intellectual input into what our students are doing,” he says. These universities should engage with the students before they leave, he says, such as by organizing workshops where students can talk to faculty members who have been in their shoes. And when students are abroad, their home universities should provide them with opportunities to visit and share their work and experiences. “Travel fellowships to locally organized conferences would be a good place to start,” he says. That sort of sustained contact can also help young African scientists to choose their projects and fields of study with the future in mind, so that they don’t find themselves in the position of Nshemereirwe — highly skilled in a field that does not fit into the research landscape of their home country. Funding constraints in Africa are another thing to keep in mind, says Kinyanjui. Because domestic funding is scarce, scientists in Africa have to adapt their work to match the shifting research priorities of international donors — although work is under way to strengthen the African voice in setting funding priorities. To engender the kind of flexibility that may be required, his programmes expose students to different fields of study as much as possible. Every Thursday, scientists from across the KEMRI–Wellcome programme meet for a seminar on topics that range from social science to vaccines. “The whole idea is to help people see the bigger picture,” says Kinyanjui. Mankgopo Kgatle, a South African virologist who is doing a postdoc at the University of Oxford, is keen to avoid specializing in the wrong field and making life difficult for herself on her return. Her research background is in viruses that can cause cancer, such as hepatitis B, human papillomavirus and Epstein–Barr viruses. Now, she is complementing this knowledge with epigenetics — a relatively new field of research that has few experts in South Africa. Although she is aware that this could limit her ability to access funding when she returns, she hopes that by applying what she is learning at Oxford to cancer-causing viruses, which are a priority for funding in South Africa, she will be able to get the money she needs to pursue this cutting-edge field when she returns to the University of Cape Town in a few years. Even with all the training and assistance on offer, returning to Africa to set up a research group after years abroad takes dedication and planning. “To succeed here, you have to be the kind of person who is excited about building something new and is willing to put up with the frustration and difficulties because you want to be part of something bigger than yourself,” Bediako says. This is perhaps true for scientists the world over, but Africa’s particular challenges — lack of funding, old-fashioned administrative systems and poor infrastructure, to name but a few — make it many times harder. In Africa, scientists have to be entrepreneurial and self-motivated, Bediako says, “to the point of being almost crazy”.